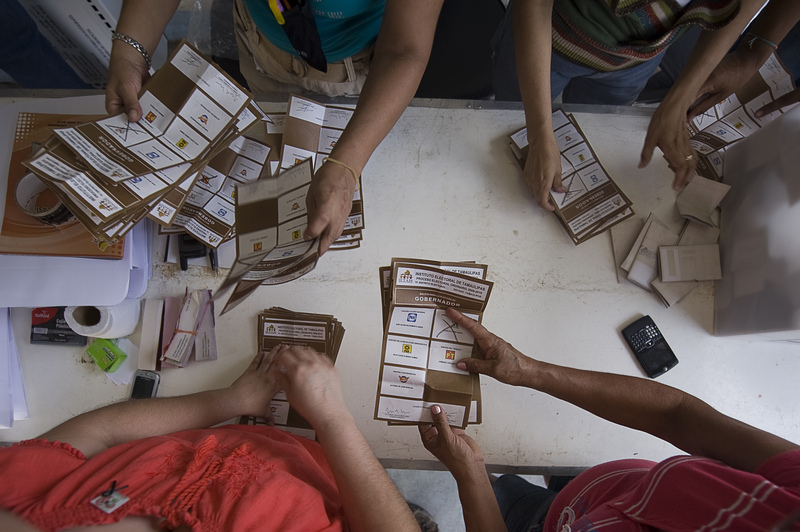 Initial results from weekend gubernatorial elections in Mexico indicate neither the ruling party nor the main opposition party achieved an overwhelming victory, despite predictions that anger over high levels of drug-violence could cause backlash against the president. Key political alliances helped President Felipe Calderon’s National Action Party pick up three states that are long-time strongholds for the Institutional Revolutionary Party, known as the PRI. The president’s party didn’t win any states without the strategic partnerships, including an unlikely alliance with its left-wing rival, the Democratic Revolution Party, to win Oaxaca State. The PRI, which held power in Mexico for 70 years until elections in 2000, looks to have won the other nine governorships at stake, picking up three new states but finishing with the same total number as before the contest. PRI has enjoyed a resurgence in popularity in recent years and is aiming to take back the presidency in 2012, said Ioan Grillo, a GlobalPost reporter based in Mexico City. The party was hoping to extend its gains in this election, but losing control of the large states of Oaxaca, Puebla and Sinaloa is a hit, Grillo said, and the results indicate that victory is not a given because of Calderon’s woes. 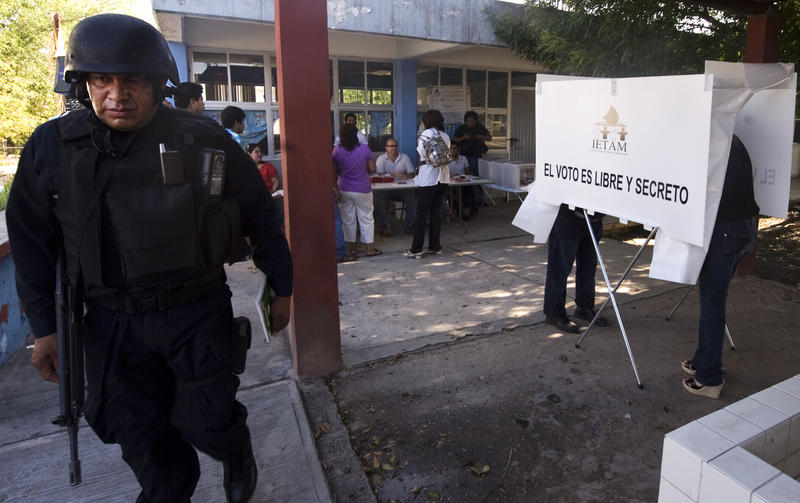 Weekend voting took place in the wake of pre-election violence that shook the electorate, including the murder of gubernatorial candidate Rodolfo Torre in Tamaulipas five days before the elections. 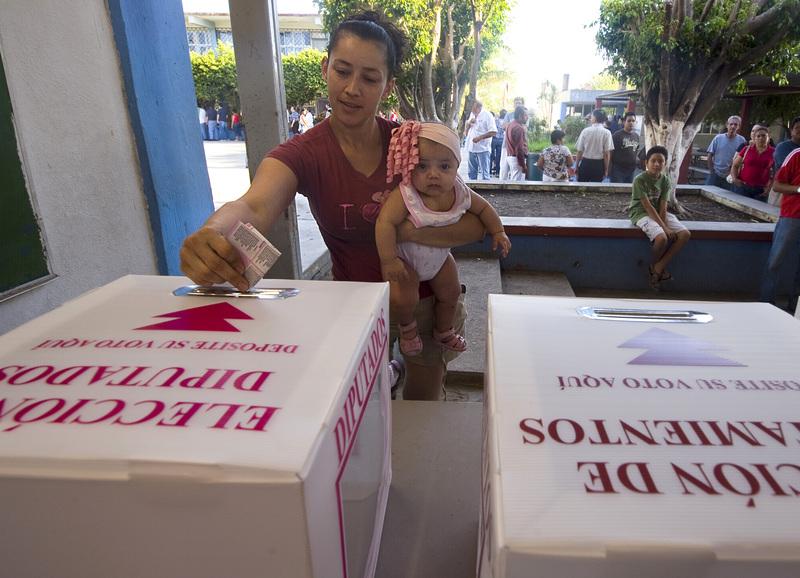 The Associated Press reported less than 40 percent of the population voted in Tamaulipas, and 33 percent in the country’s most violent state, Chihuahua. The drug violence that has plagued some of Mexico’s northern border states has escalated in recent months, as the NewsHour reported Friday. An estimated 23,000 people have been killed in drug-related violence since 2006. The Mexico City paper The News reported that “Sunday’s heavily monitored elections were generally peaceful,” but said three people were killed in election-related violence and the brother of a mayoral candidate was gunned down. Grillo said there was a lot of apprehension among voters so the relative peace was a relief, but that other accusations of ballot theft and threats of violence could lead to challenges of the final election results in court.